The Cleveland, Ohio office of Keis George serves as the firm’s headquarters and central support hub. 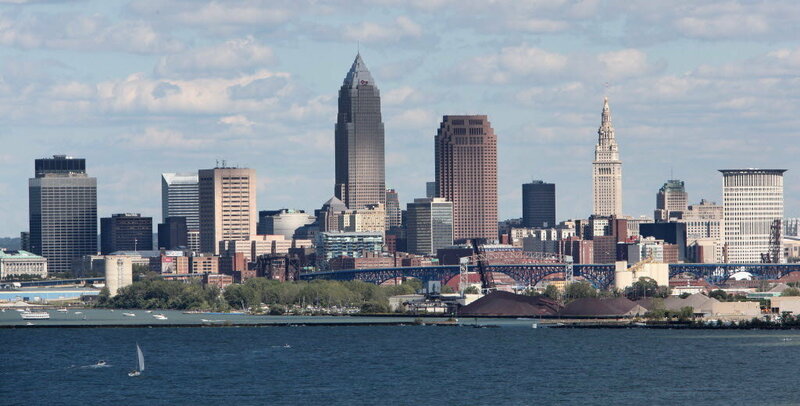 The Cleveland, Ohio office focuses on property and auto subrogation and offers a range of service for commercial collections. Our Cleveland, Ohio subrogation lawyers have extensive experience in state and federal courts throughout Ohio. We have achieved successful verdicts and out-of-court settlements for clients in property subrogation, auto subrogation, and workers’ compensation subrogation against major product manufacturers, contractors, at-fault drivers, and more. From prosecuting large loss property cases involving fire and explosions to recovering against manufacturers of faulty and defective products, our efficient and comprehensive litigation strategy will redefine what it means to recover your money faster. Early Involvement is a strategic process in which our attorneys ensure a good claim is a recoverable claim. The moment a loss is reported to Keis George, our Indiana attorneys immediately make preparations to investigate the loss onsite while our paralegals acknowledge and setup the claim. Once onsite, our attorneys use various tactics to ensure a good claim is a recoverable claim. Too many insurance companies allow recoverable revenue to walk out the door because they do not explore their options through subrogation. A benchmarking study from the National Association of Subrogation Professionals found that about 15 percent of claims close without a consideration of subrogation. Through our Second Look Program, we can improve your ratio of files closed with no recovery by identifying claims with subrogation potential and proposing a plan to work those claims to recovery. As there is no cost to review a file, send it in before you close it out. Through internal benchmarking and market data, we can estimate the standard cycle from the time subrogation is identified until recovery. While we cannot guarantee deadlines, we know what is normal and we communicate with you every step of the way. You can see everything and anything we are up to on our Client Portal. Keis George Reports, our Client Portal, is secure proprietary software that helps clients mine big data with little effort. Clients may review detailed status updates and file information with the click of a mouse. Client Portal is accessible 24/7, with your username and passcode, from any electronic device in the world. At Keis George, our Cleveland, Ohio office has the resources to confront complex claims, provide highly personalized attention, and offer a competitive fee structure. Clients can expect superior case management, information security, and most importantly, increased recoveries. Allow Keis George to redefine what it means to recover your money faster. Call us at (216) 241-4100 or contact our Cleveland office to schedule a consultation.